The snow is piling up outside. Good time to pull out my coloured pencils and draw. 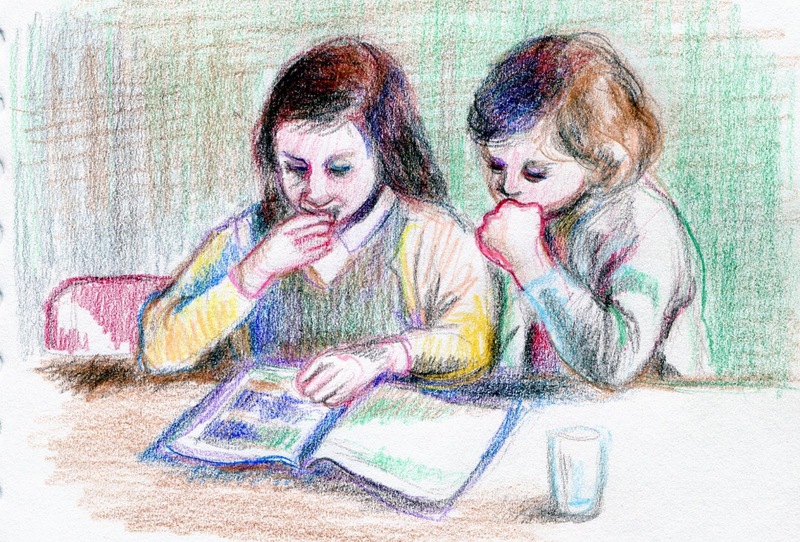 This was based on a black-and-white photograph from my own childhood - a photo of me and my sister reading. I really enjoyed being very loose with the colour.